Solara Power, a new player in Residential Solar Power, is helping bring low-cost renewable energy to California. Invest in an energy future now. It’s the perfect time to switch to solar. With recent advancements in residential solar power technology and tax incentives provided you the government, major companies are getting into the Solar Energy wave. With state and local governments setting future mandates for renewable energy production, many homeowners are looking to residential solar power as an option. 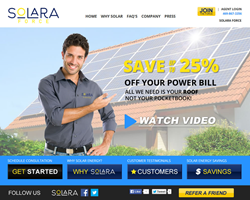 Solara Power is a new solar distribution company in California which has access to several incentive programs available that allow qualifying homeowners to enjoy the benefits of solar energy without having any up-front investment. One simple way is through a Power Purchase Agreement. The PPA basically allows a solar provider to install a full residential solar power system at the home with no up-front cost the homeowner in exchange for their agreement to purchase the power produced by the unit rather than purchasing it from their current provider...and at lower rates than they are currently paying. Solar energy is cost-efficient and an eco-friendly power source. The energy harvested from a roof is clean, safe, and simple. Going solar gives families immediate cost savings, and benefits the environment, too. With technology use increasing, and power consumption at an all-time high, energy costs are constantly on the rise. 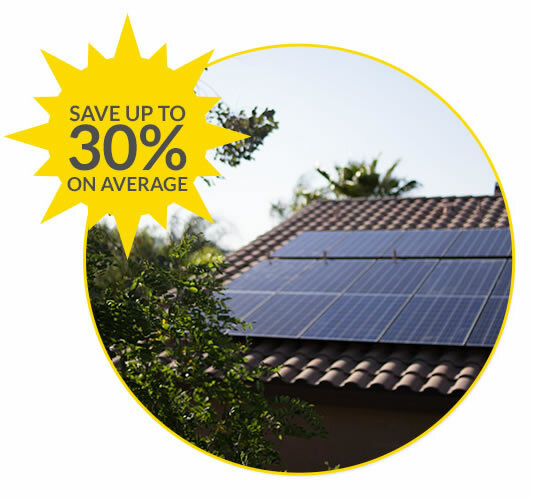 Solar PowerSave Up To 30% On Average!